The Tony Award-winning Best Musical Monty Python's Spamalot, will arrive in Fort Myers at Barbara B. Mann Performing Arts Hall at FSW on Tuesday, February 5 through Sunday, February 10. Tickets go on sale Friday, October 19 at 10AM at the Box Office, online at www.bbmannpah.com or charge by phone at (239) 481-4849. Monty Python’s SPAMALOT is part of the Fifth Third Bank Broadway Series. This outrageous musical comedy is lovingly ripped off from the film classic “Monty Python and the Holy Grail.” Monty Python's Spamalot tells the legendary tale of King Arthur and the Knights of the Round Table, and their quest for the Holy Grail, Monty Python's Spamalot features a chorus line of dancing divas, flying cows, killer rabbits, taunting Frenchmen, and show-stopping musical numbers! 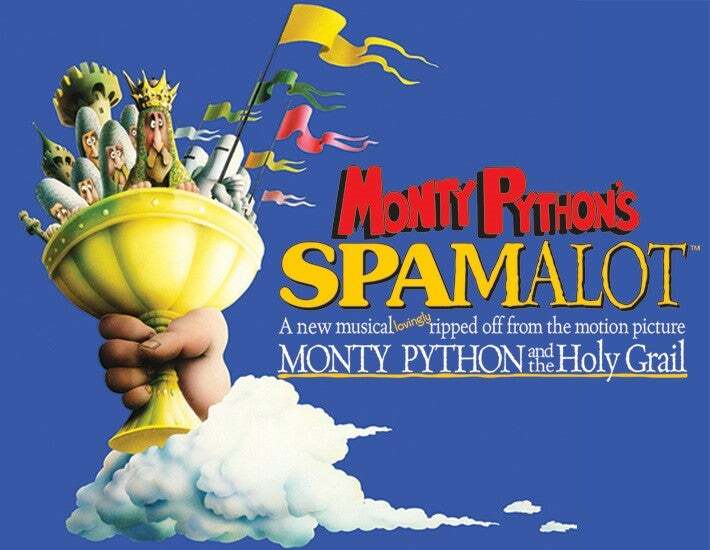 Directed and Choreographed by Sam Viverito, Monty Python's Spamalot features a book by Eric Idle, based on the screenplay of Monty Python and the Holy Grail by Monty Python creators Graham Chapman, John Cleese, Terry Gilliam, Eric Idle, Terry Jones and Michael Palin, with music and lyrics by the Grammy Award-winning team of Mr. Idle and John Du Prez. Monty Python isn't a person, but a group of British actors and writers (and one American) that performed their famous comedy show Monty Python's Flying Circus on the BBC from 1969 to 1974, with subsequent international fame and success.